“I have an 11-year-old son. I don’t want him to have to pay for my ignorance.” So said May Mei, one of the delegates at a forum organised by Asia Tatler to workshop ways to make our lives, businesses and countries more eco-friendly. May effectively was speaking for all present, but hardly from a position of ignorance. She is the founder and executive director of the GoalBlue Low Carbon Development Centre, a Mainland Chinese NGO that aims to promote sustainable lifestyles by encouraging responsible consumerism, a low-carbon economy, protection of the oceans, and healthy eating—for ourselves and the planet. Nor was ignorance a trait of the other delegates gathered at the eco-friendly Soneva Kiri resort in Thailand. 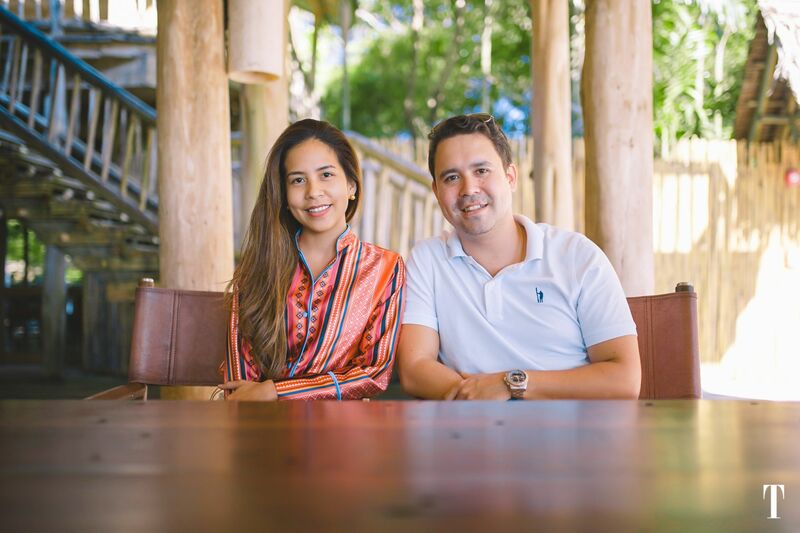 Some of the smartest business minds across Asia, they shared a passion for and experience in promoting sustainability, a desire to share their know-how, and connections through the Asia Tatler network. It was her knowledge of this continent-wide network that led Julie Lee to conceive the idea of the Asia Tatler Sustainability Forum. As chief innovation officer of Edipresse Media Asia, publisher of the eight Asia Tatler titles, she realised the organisation could make an important contribution to developing sustainability by drawing together influential industry players from across Asia. “There is a possibility here to create long-lasting relationships, and because everyone here is powerful and connected to other powerful people, this enables positive change,” Julie told the delegates on the first day of the inaugural three-day forum in November last year. Julie was also inspired to launch the forum because of her work as co-founder of EcoDrive, a Hong Kong-based organisation that fights single-use plastics by running educational programmes and partnering with corporations to help them implement eco-friendly practices. Among other initiatives, EcoDrive has bought a licence to screen the documentary A Plastic Ocean in schools for free, and has partnered with organisations, including the Jane Goodall Institute and WWF, to run weeks-long workshops for thousands of students. It has also advised multiple corporations—including Hong Kong's Sino Group and the local office law firm Clifford Chance—on how to reduce their plastic use. Following the workshops with EcoDrive, some of these companies have reduced their consumption of single-use plastic bottles by tens of thousands. The organisation was founded by 11 women, five of whom—Julie, Emily Lam-Ho, Yolanda Choy-Tang, Claire Yates and Laura Derry Southwood—took part in the forum. Just as EcoDrive was founded with the idea that we can achieve more together than we can individually, the forum was organised around a string of roundtable discussions during which everyone could contribute their thoughts and suggestions. The topics included "Waste To Wealth," where delegates brainstormed ideas on how to build more circular economies, and "The Power of Influence," focusing on how to make a difference through impact investing. The lively debates often overran their time slots as impassioned speakers shared concerns, ideas and possible solutions. Sustainable and socially responsible companies need help to compete in a challenging world, and obtaining finance is a crucial factor in their ability to achieve success. “We’re looking for founders who have a sustainable business model that can drive very large impact long-term,” impact investor Kent Ho, founder of venture capital company Empact28, said in explaining the types of ventures that would attract his attention. An example of the forum’s power to find solutions involved Malaysia’s Cold Stone Creamery. Executive director Aubry Rahim Mennesson and his wife, Selangor’s Princess Zatashah, explained that they had been searching in vain for an alternative to the plastic spoons provided with the company’s products. May Mei was immediately able to point them towards a Taiwanese company making such items that are 100 per cent biodegradable. This one exchange probably saved countless kilos of plastic from going to landfills. A variety of concerns led delegates to take part in the forum, but plastic pollution was a big one. Busaba Chirathivat, executive vice-president of corporate communications at Central Group, Thailand’s largest retail conglomerate, said she was hoping to find an alternative to single-use plastics, especially the sheets used in packaging. The extent of the plastics crisis was brought home to members of the group personally when they took a break on the final day to go snorkelling in the Koh Rang National Marine Park. They were shocked to discover that even at a remote spot in protected waters kilometres off the Thai coast, plastic was floating in the water and littering the seabed. Princess Zatashah, whose #sayno2plastic campaign went viral in Malaysia early last year, took charge and had everyone retrieving whatever they could. In just half an hour they had recovered 131 pieces of non-biodegradable rubbish weighing more than five kilograms. Back at the forum, the final sessions focused on how business leaders, corporations and brands could spread the word about the various environmental crises facing our planet. Watch the video below to go inside the Asia Tatler Sustainability Forum, and stay tuned for the attendees' individual pledges as to how they would make their businesses more eco-friendly and sustainable.